The Blum 75T1650 107 degree half overlay hinges are all metal hinges with nickel plating for door thicknesses up to 22-7/8 inches. 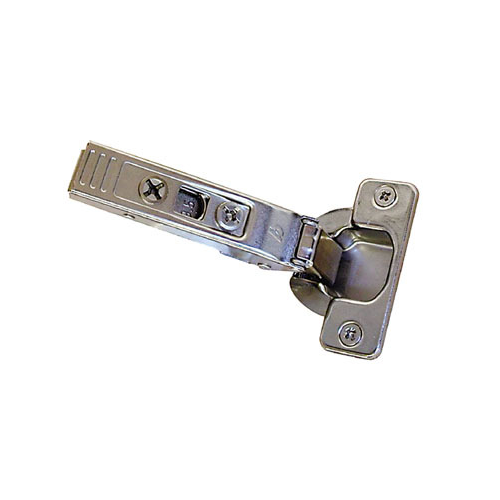 The Blum 75T1650 107 degree halfoverlay hinges have an optional three dimensional adjustment. The 107 degree hinges have an optional 86 degree restriction clip available (sold separately). These hinges are also compatible with BLUMOTION soft close add-on (sold separately) & Inserta attachment(sold separately). Please visit Blum’s website for installation instructions and planning tools.